Don't think Scott Walker has a molecule, a scintilla, an iota of interest in your health care; he's only interested in a last-minute, Hail Mary breath of life for his disintegrating campaign. 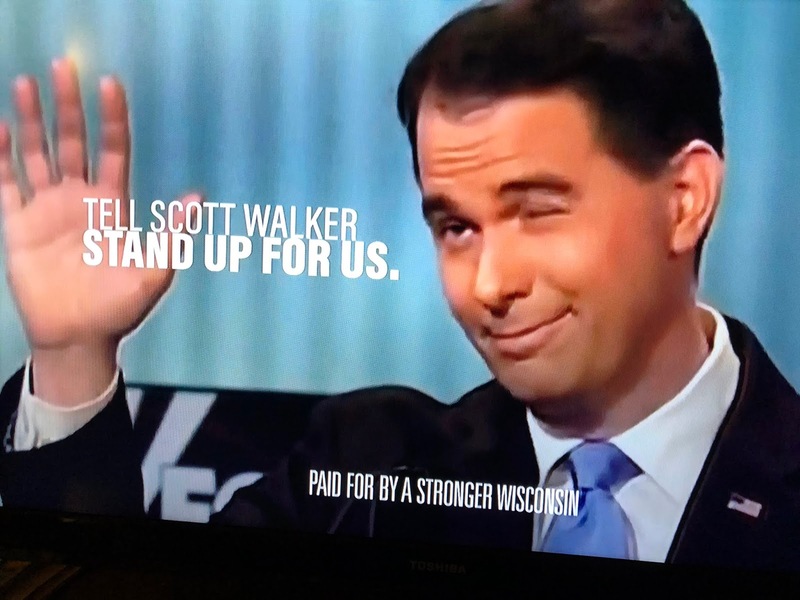 No doubt Walker has polling data which shows him losing to Tony Evers, dragged down by a feckless, inhumane history opposing Obamacare, otherwise why toss out a last-ditch pre-existing condition coverage pledge that blows up years of his own positions, actions and GOP dogma? Sidebar: Apparently, yes! If you believe the hype. A suit from which he could have and should have ordered the AG to withdraw. This late move is classic Walker: duplicitous, dishonest, devious, desperate, spineless, and unprincipled. Who would take him at his word. He who broke his promise to create 250,000 jobs, and his pledge in 2014 to serve out a full second term by running for President in 2015. His promise now to magically-create pre-existing insurance coverage is as unreliable and transparently useless as his list of Pants on Fire lies. one-dimensional fraudster who has consistently put his career ahead of anyone and anything else. While enjoying great health insurance benefits supplied by taxpayers and joining his party in denying through state power that same quality of care and peace of mind to the less fortunate in the name of 'the free market,' and his b.s. about 'a hand up and not a hammock' and other harmful, hateful, insincere and insensitive slogans. Talk about a sick joke at the expense of people are really, seriously sick. Vote him out and vote in the trustworthy Tony Evers, the real deal. Funny you mention polling data that shows Walker is losing. All across Wisconsin, the media is declaring its a dead-heat tie. Your take on it is accurate - even the reference to him being down in the polls. The usual media shills, including the state's biggest newspapers, are telling us that Walker is actually ahead slightly based on a rigged poll paid for by Walker's dark money funders.